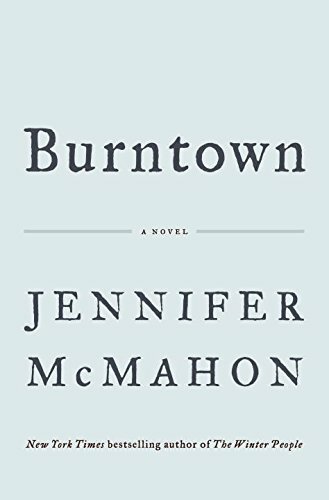 On the surface, Ashford, Vermont, seems like a quaint New England college town, but to those who live among the shadowy remains of its abandoned mills and factories, and beneath its towering steel bridges, it's known as Burntown. Eva Sandeski, who goes by the name Necco on the street, has been a part of Burntown's underworld for years, ever since the night her father, Miles, drowned in a flood that left her and her mother, Lily, homeless. A respected professor, Miles was also an inventor of fantastic machines, including one so secret that the plans were said to have been stolen from Thomas Edison's workshop. According to Lily, this machine got Miles murdered. Necco has always written off this claim as the fevered imaginings of a woman consumed by grief. But when Lily also dies under mysterious circumstances, and Necco's boyfriend is murdered, she's convinced her mother was telling the truth. Now, on the run from a man called Snake Eyes, Necco must rely on other Burntown outsiders to survive. As the lives of these misfits intersect, and as the killer from the Sandeski family's past draws ever closer, a story of edge-of-your-seat suspense begins to unfurl with classic Jennifer McMahon twists and turns.